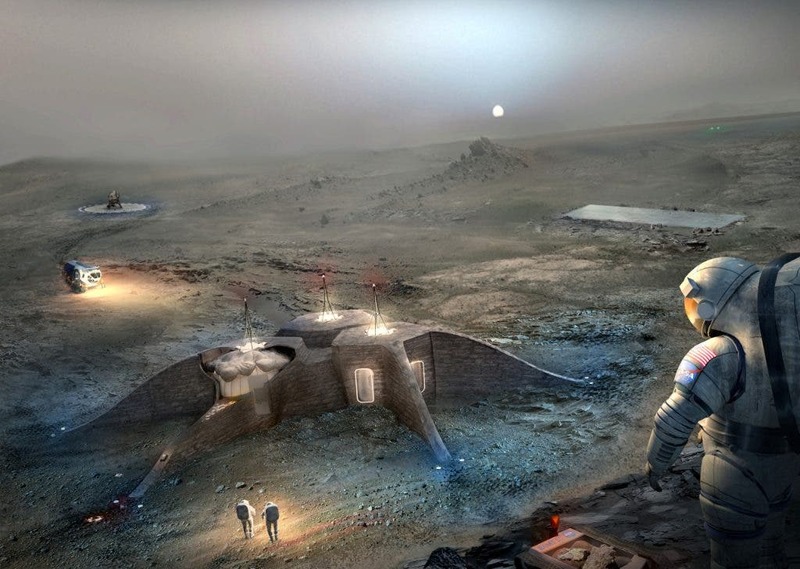 With today’s propulsion tech, it takes at least 1.5 years for a manned crew to reach Mars, and at least as much to get back – provided there will be a return mission. There’s only so much that can fit in a spacecraft, and besides the supplies astronauts need for the long trip, there’s precious cargo that’s required to sustain the mission on site like construction materials, lab equipment, food and so on. Remember the last time you went camping? Well, this time we’re headed to another planet and forgetting about toiler paper is the least of your worries. But when NASA handles logistics, you know things are tight to the last bolt. 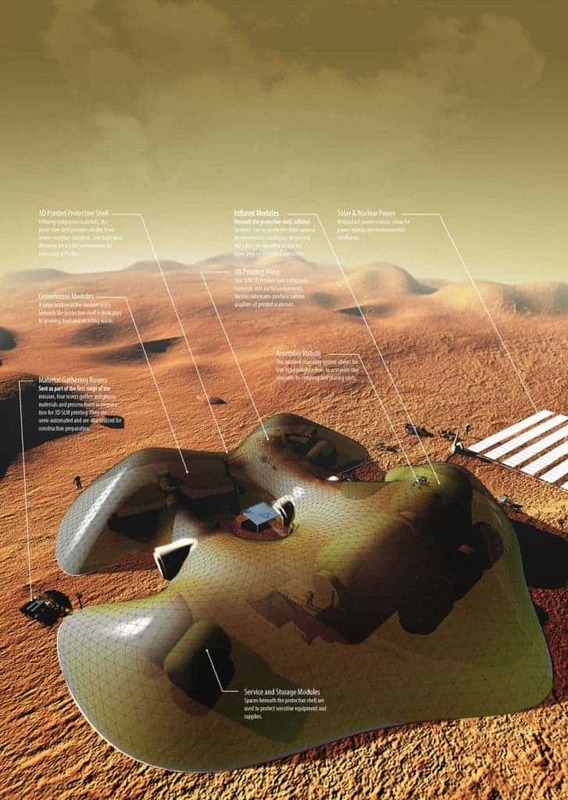 Sometimes, outside help and fresh minds are more than welcome, which is why the space agency held a very interesting competition called the 3D-Printed Habitat Challenge Design Competition which awards the most innovative, but practical designs of habitats on Mars. The key here is 3D printing and sourcing materials on site. It’s important that the first pioneers there build as many objects as possible on location, using 3D printers since it drastically reduces the load of ferrying cargo for millions of miles. 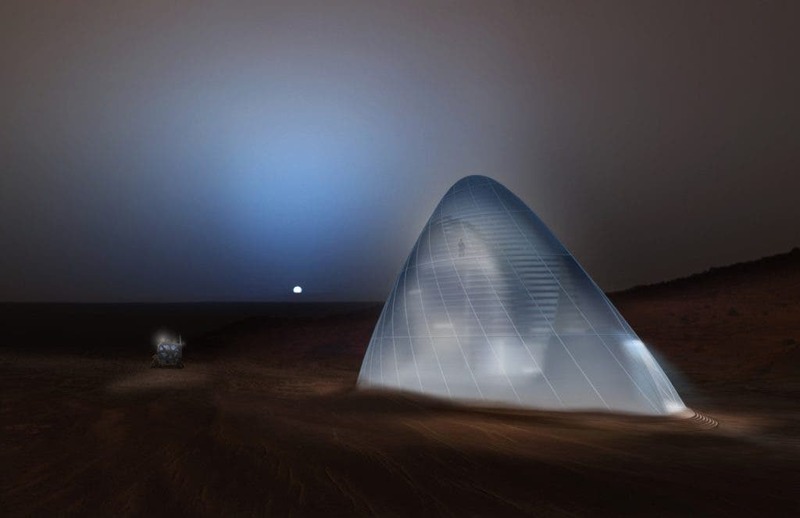 First prize and $25,000 went to Team Space Exploration Architecture and Clouds Architecture Office for the stunning “Mars Ice House” – a ribbed structure supporting a pyramid made out of Martian ice which shields inhabitants from the radiation. Since Mars doesn’t have a magnetic field, even though it’s farther from the sun, the radiation levels at the surface are higher than on Earth. 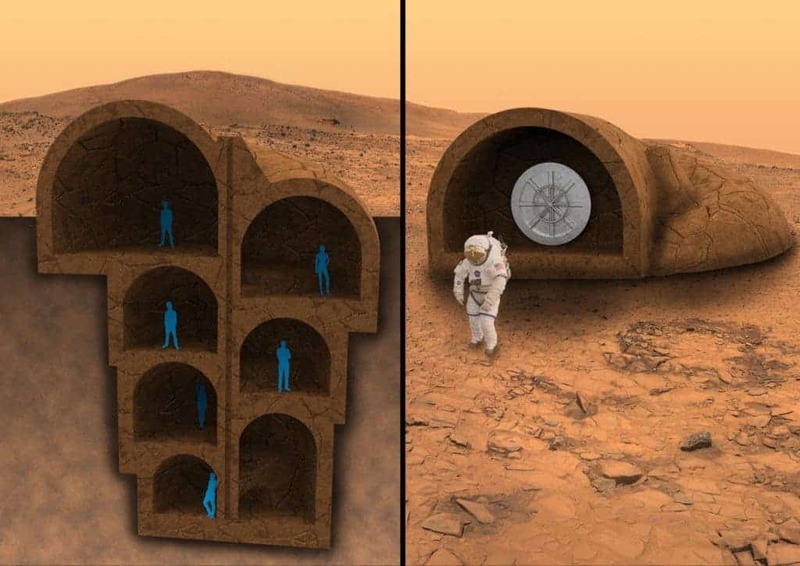 “The innovative structure draws on the abundance of water and persistently low temperatures in Mars’ northern latitudes to create a multi-layered pressurized radiation shell of ice that encloses a lander habitat and gardens within. 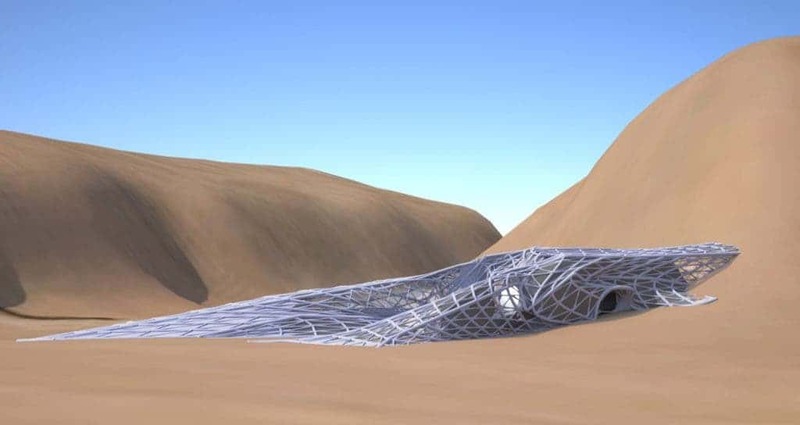 A unique 3D printing technique harnesses the physics of water and its phase transition to construct ICE HOUSE,” says the Team Space Exploration Architecture and Clouds Architecture Office. Second place and $15,000 went to Team Gamma for their design of an modular, inflatable habitat. 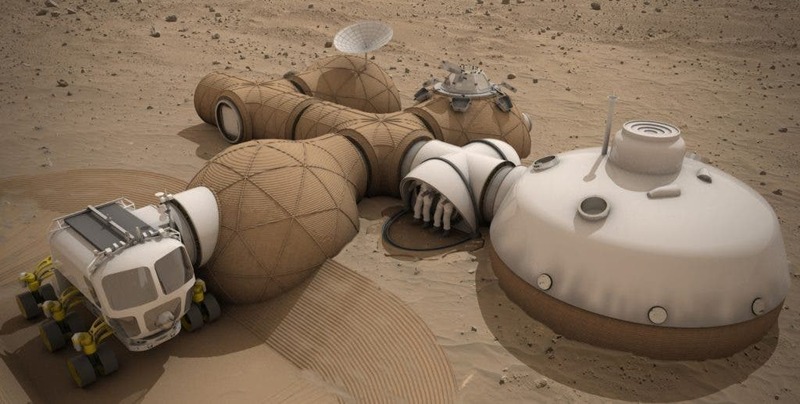 A semi-autonomous multi-robot regolith additive manufacturing (RAM) system is used to create a protective in situ shield around a modular inflatable hab. This design may be the most practical since it allows head room for the vile uncertainties of such a mission. A lot of things might go wrong, but if you have a properly built modular design, you know there’s shelter at least. Oh, and oxygen. Third place, and sadly no cash, went to Team LavaHive, another modular design which uses the ‘lava-casting’ construction technique. It also uses recycled materials from the landing craft. A total of 165 designs were submitted for the contest. You can see a complete list here.